Library Headquarters was first located at the Westminster Branch. 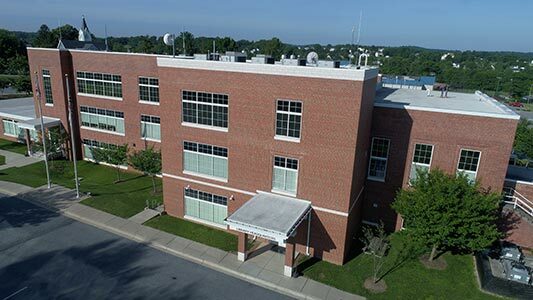 With the growth of the library system, it was necessary to relocate to expanded rented space at the Carroll County Airpark. Library Headquarters houses Materials Management, Information Technology, and other support staff. In summer 2008, Library Headquarters moved into the renovated New Windsor School building. Built in 1935, this building served New Windsor as a school for 60 years. Renovated to serve as a high-tech workspace, it now houses Carroll County Public Library Headquarters.